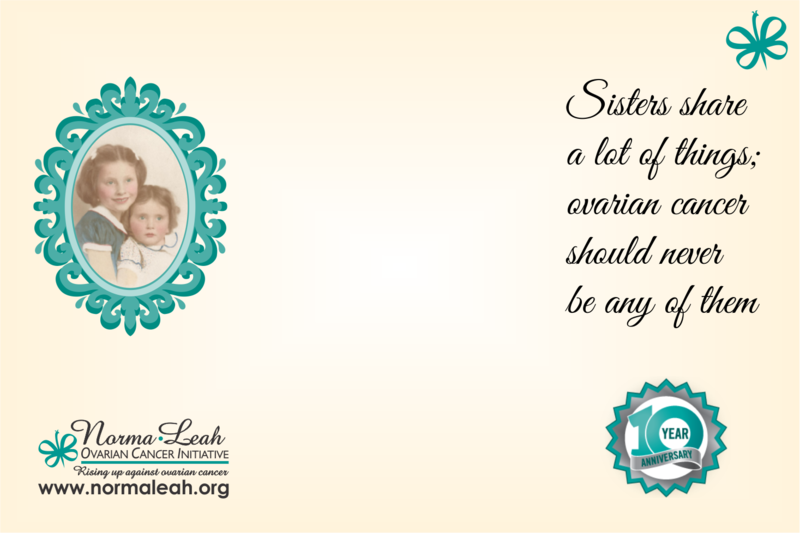 NormaLeah Ovarian Cancer Initiative - Help NormaLeah save lives! Every single day, our early detection education programs are increasing survival rates and saving the lives of women we love. Named in honor of two sisters who died of ovarian cancer, NormaLeah Ovarian Cancer Initiative is enriching lives through early detection education, patient support services and research funding for ovarian cancer - the silent killer of women. There is no reliable screening or widely-used early detection test, so knowing the symptoms and your personal risk is the most powerful weapon in the fight against this lethal disease. We provide a variety of educational programs and print materials that are working to save the lives of women around the country. In memory of my beloved Norma Shagrin and her sister Leah, and to honor the beautiful life of my cousin Craig Kravensky who left us all too soon. Condolences on the passing of Craig Kavensky. May his memory be a blessing. NormaLeah Foundation was near and dear to Craig’s heart started by his wife in memory of his mother-in-law and her sister. In loving memory of my cousin, Craig Kavensky. In Memory of Craig Kavensky.